Chances are, you can! 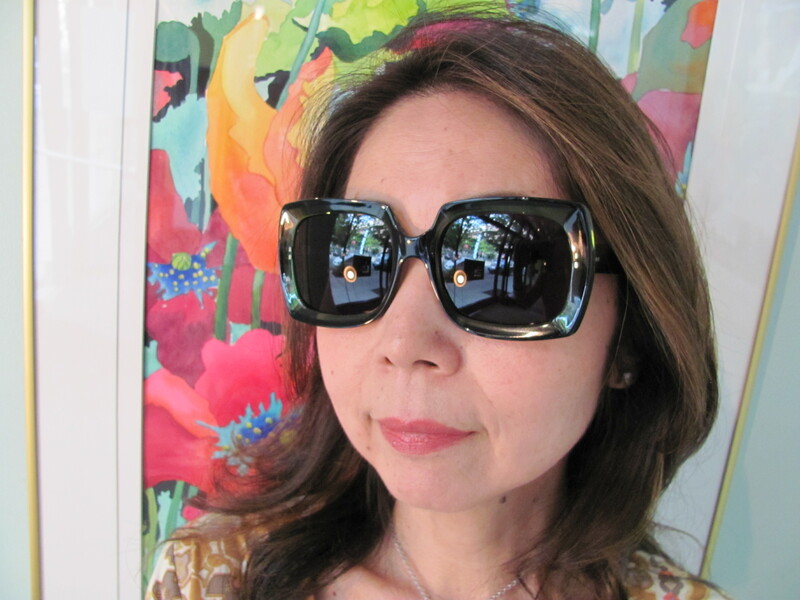 Here we have Momo, looking chic and stylish in a pair of oversized Oliver Goldsmith sunglasses. She’s a perfect example of how amazing you can look when you decide to try something a little different. Don’t be afraid to take risks, especially when it comes to something as fun as sunglasses. Oliver Goldsmith offers a great line of sunglasses that are iconic and timeless…simply put, they’re always IN style!